Ventricular pre-excitation causing reversible left ventricular (LV) systolic dysfunction has been reported in adults and children. We describe severe heart failure secondary to ventricular pre-excitation in a 3-month-old girl who presented with echocardiographic evidence of marked intraventricular dyssynchrony. The patient was initially considered for transplantation, but dual chamber left atrioventricular epicardial pacing initiated at 4.5 months of age resulted in a marked clinical and echocardiographic improvement. Five years later, successful radiofrequency ablation resulted in loss of pre-excitation and reversal of LV dyssynchrony, thus allowing pacemaker explantation. 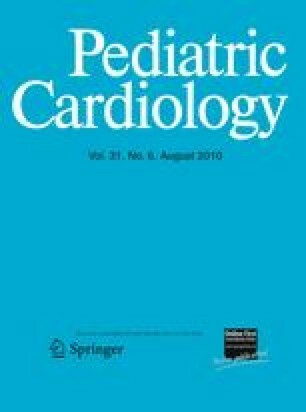 To our knowledge, this is one of very few reported cases of pre-excitation–induced cardiomyopathy affecting a young infant and the only case palliated with resynchronization pacing.